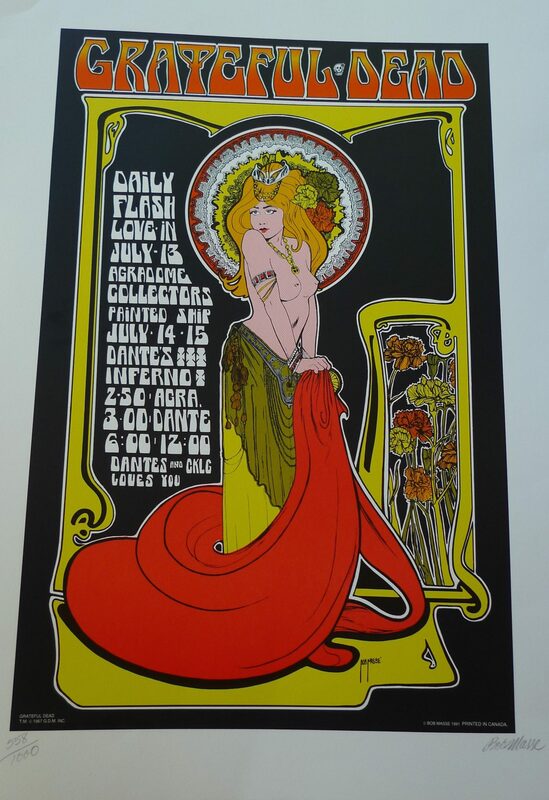 This is a reprint of the rare 1967 Bob Masse Grateful Dead poster. This is signed number 558/1000 by Bob Masse. The original sold at auction for over $600 and reprints like this have fetched over $200. This is a 1991 reprint of the rare 1967 Bob Masse Grateful Dead poster. This is signed number 558/1000 by Bob Masse. The original sold at auction for over $600 and reprints like this have fetched over $200.